If you are a fan of horror, whether you prefer classic, graphic, or psychological movies, NHS students have some recommendations for you. 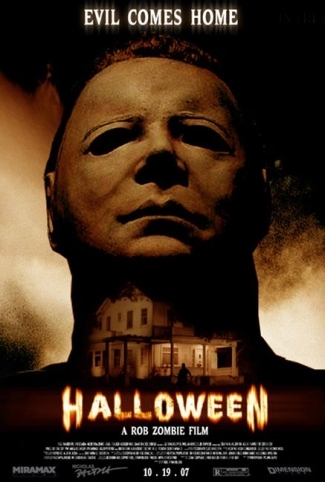 Whenever I think of Halloween I think of the classic horror movies. I like the original Halloween, for example, because of the creepy sensation you get from the music. I would also recommend Man Bites Dog because of its unique cinematic vision and The Blob because it gives the the watcher an “oh crap wouldn’t want that to happen to me” feeling. If you’re the kind of person that likes blood, gore, and surprises, however, graphic movies like Sinister are for you. Northampton High School Senior Michael Castillo said he likes this movie because of “how the Sinister guy controls the girl into killing her family.” Castillo likes horror movies because of the killing and surprises, and said he would would recommend this movie because it is not only very graphic, but also a good movie and pretty scary. On the other hand, if you enjoy suspense over gore, then you should try watching psychological horror movies like Paranormal Activity, Insidious 2, The Exorcist and Silence of the Lambs. NHS Senior Troy Cronin said his favorite horror movie is Paranormal Activity. “It’s suspenseful and it keeps me on the edge of my seat.” Students also said that The Exorcist and Insidious are great to watch because they are suspenseful, scary, have new ideas, and they keep the horror moving. Insidious 2 is suspenseful and intriguing, said Tkacz-Nguyen. He said this was his favorite movie because it was interesting and scary, and recommends it if you want a good scare. NHS Junior Luke Pinkham recommends another classic psychological horror movie, Silence of the Lambs.. “The entire plot of the movie was interesting, unpredictable, and extremely suspenseful, and of course it still had gore to give you the real “horror movie” feeling.” NHS Sophomore Nathan Selkirk has different reasons to like Silence of the Lambs.”I like Silence of the Lambs because of the amount of thrill and experience and how it plays with your brain throughout the movie.” Pinkham said that he would recommend this movie to anybody who loves horror movies or anyone who wants to see an amazing movie and see why people love horror. Selkirk recommends this movie to people if they enjoy having their mind messed with and having no idea where the plot could go. This weekend, grab a friend or spend some time with the family, and enjoy some silly, suspenseful, or scary horror movies.